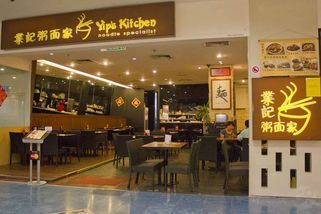 Located in the Ground Floor 2 in Sunway Pyramid Shopping Mall, Yip’s Kitchen offers an assortment of mouth-watering Chinese delicacies with a touch of Hong Kong’s specialities. Boasted as one of the best noodles specialists in the market, Yip’s Kitchen is surely a Chinese galore of foods with the display of crowding visitors every day. With a choice of more than 20 types of noodles, local and Hong Kong twist, Yip’s Kitchen never fails to bring in smiles and satisfactions to their patrons. Crowd favourites like Hong Kong Roasted Duck Noodle, Home-made Hakka Stewed Pork Belly Noodle and Stewed Beef Brisket Noodles, are the magnets that pull people in. Not forgetting their other ranges of cuisine includes Century Egg and Lean Meat Congee Porridge, Papaya & Pork Ribs Soup, Barbecue Crispy Pork Belly Meat and Roast Duck. To complement the dining set, you may try a sip of their famous Hong Kong Chinese Herbal Tea where the ingredients are brought down directly from Hong Kong. Therefore, you won’t need to be worried of the authenticity of the flavour. Never tried it before, but it's replaced with Secret Recipe Beyond Vege.